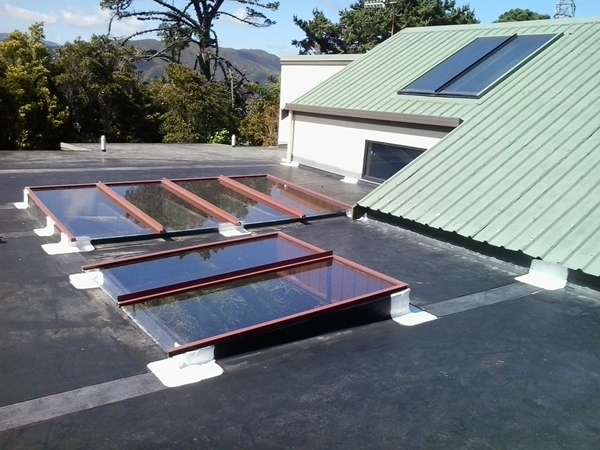 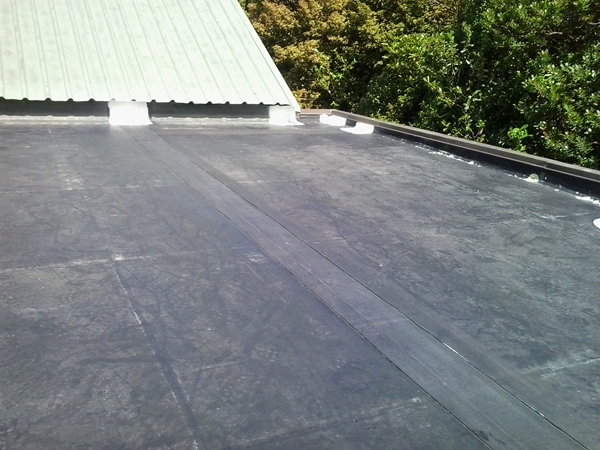 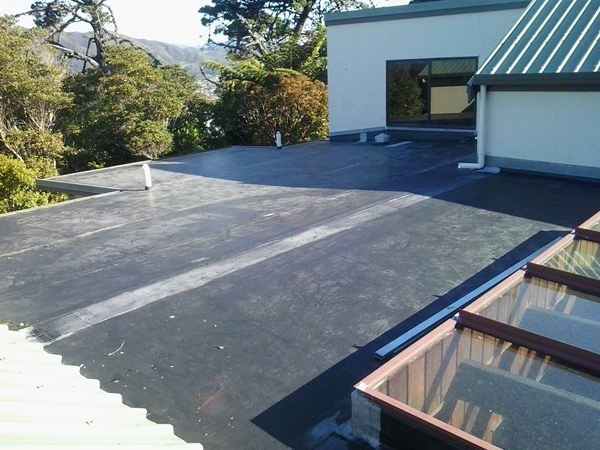 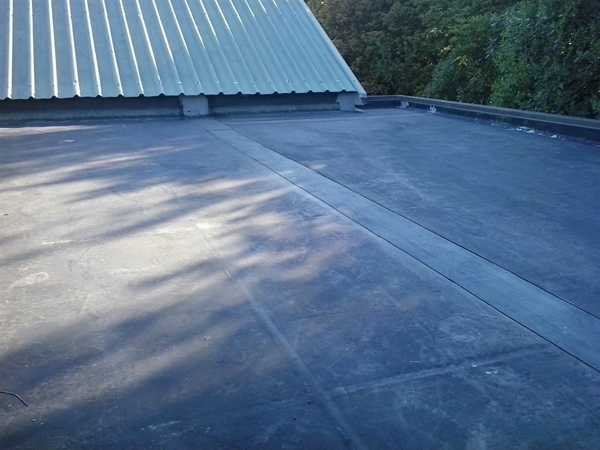 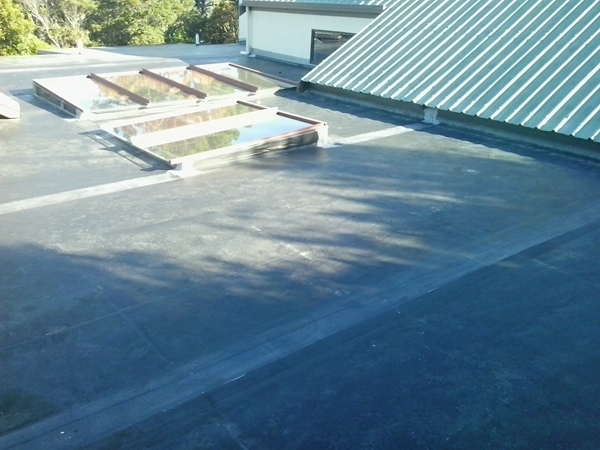 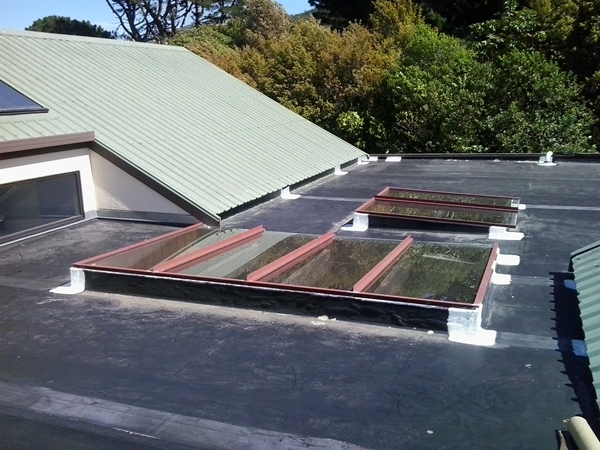 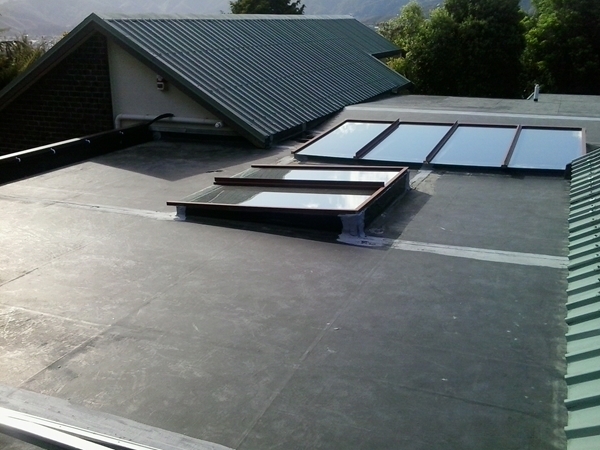 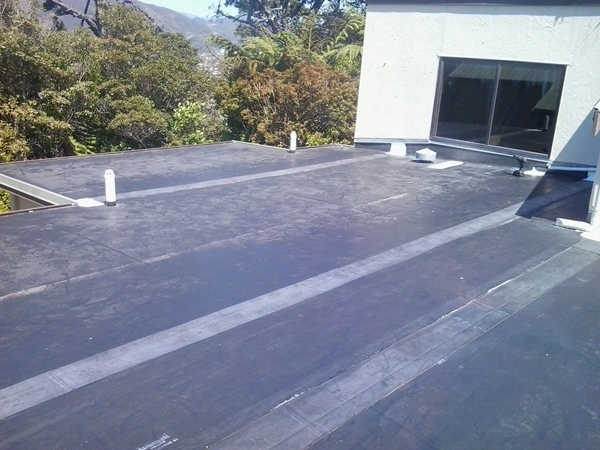 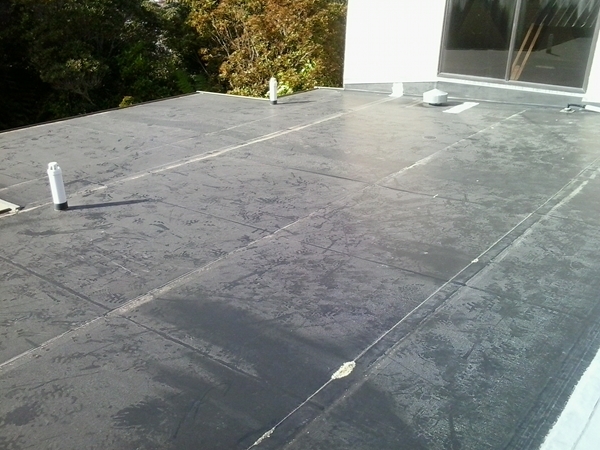 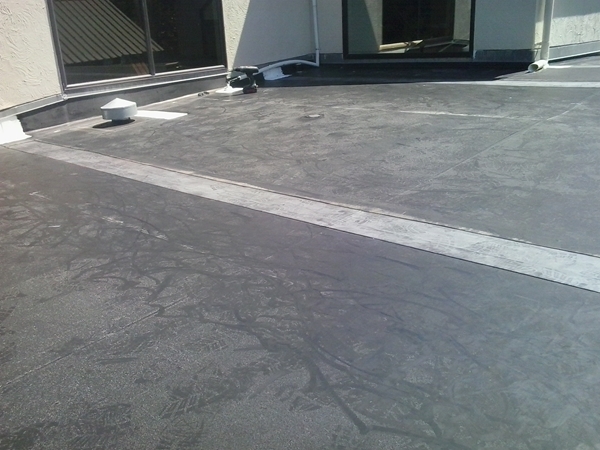 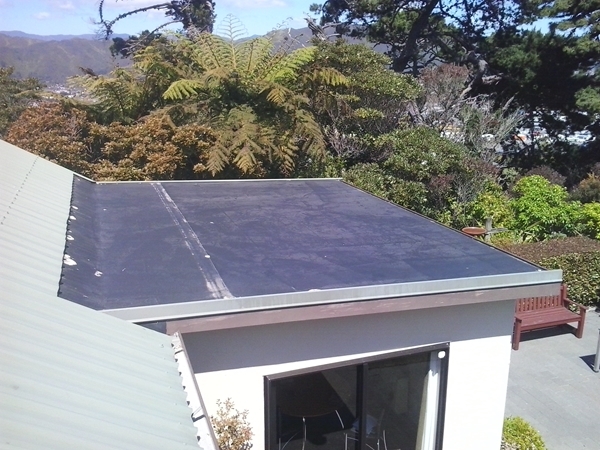 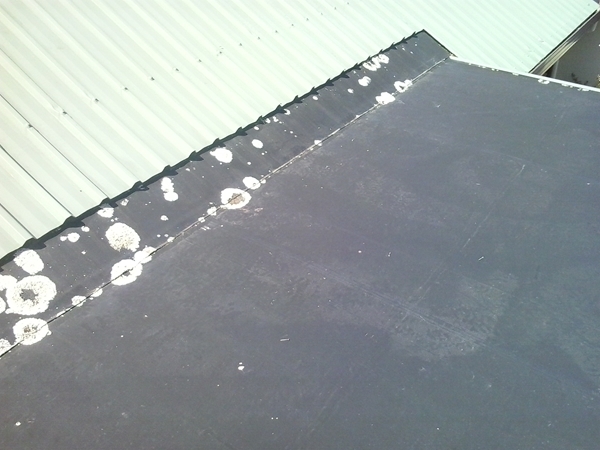 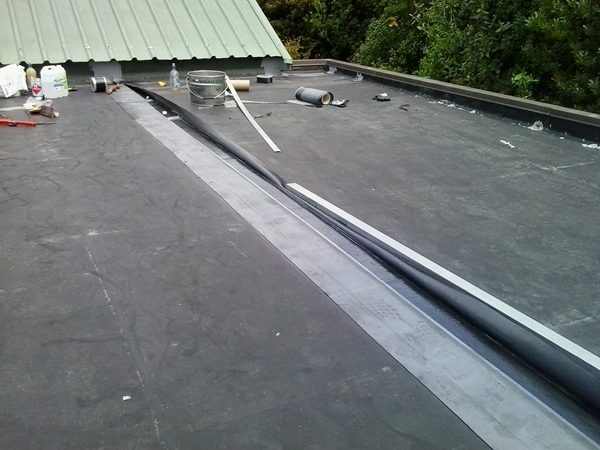 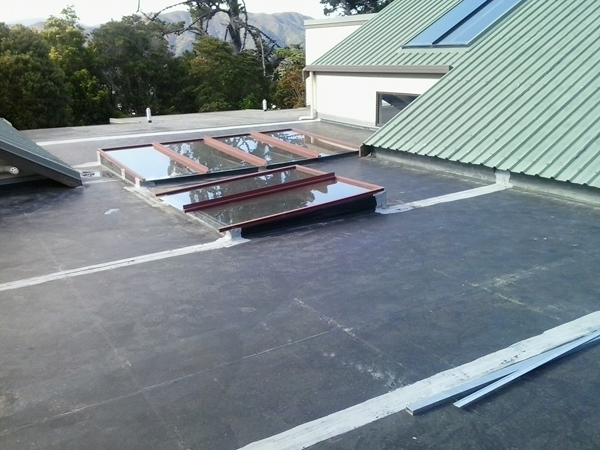 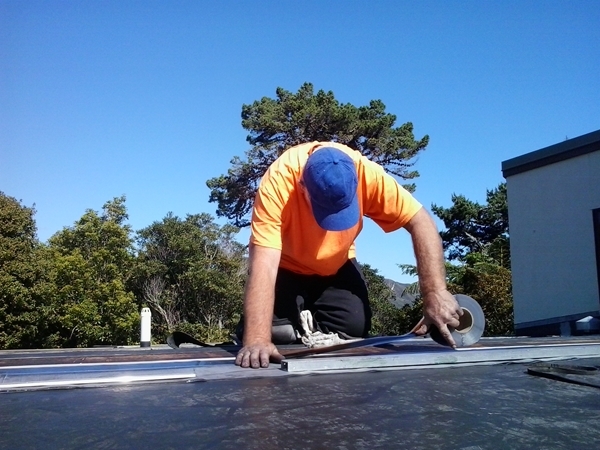 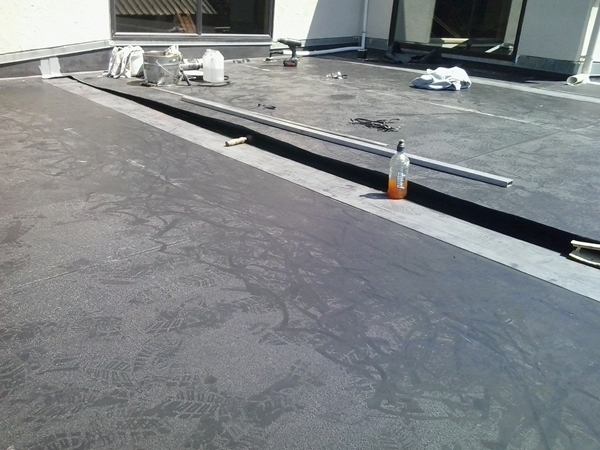 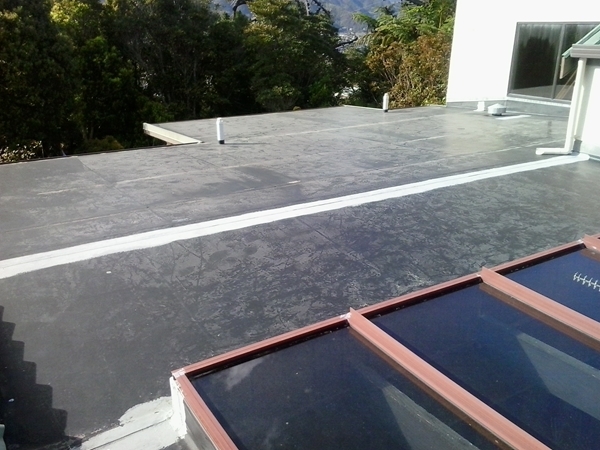 This Flat EPDM rubber membrane Roof on plywood was installed in 2001, as a replacement for a previous original rubber membrane on chipboard. 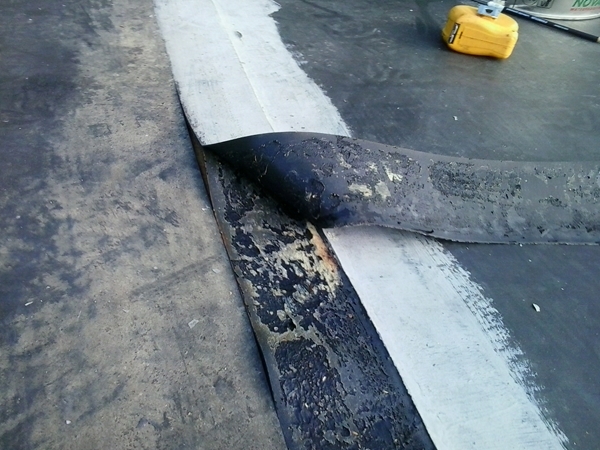 At the age of 12 years some of the seams/laps/joints came apart and caused leaks inside. 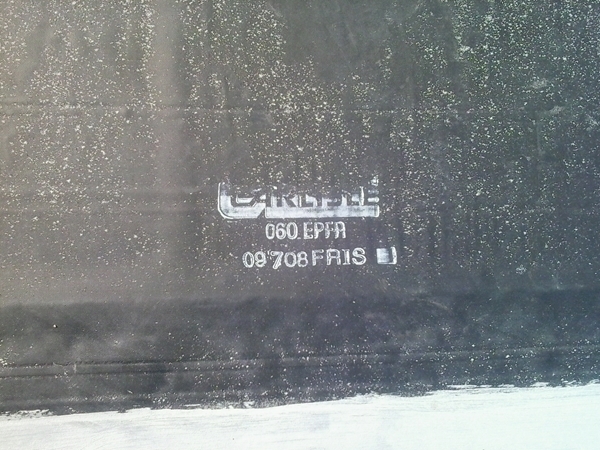 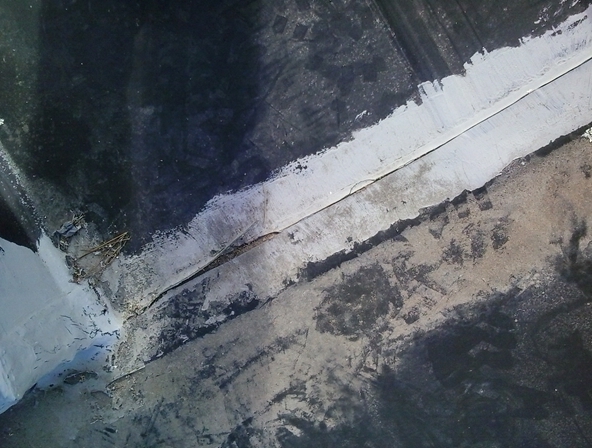 A local contractor was employed to do some repair work .It is not clear exactly what he did back then, but for some obscure reason he painted a 150mm wide strip of acrylic paint centred over the seams. 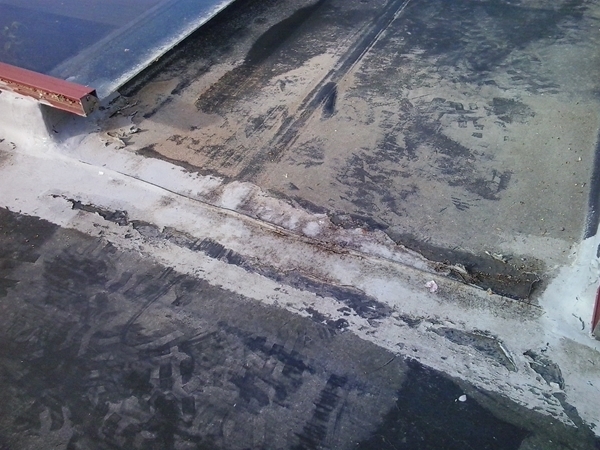 At 14 years (now) some of the seams parted again. 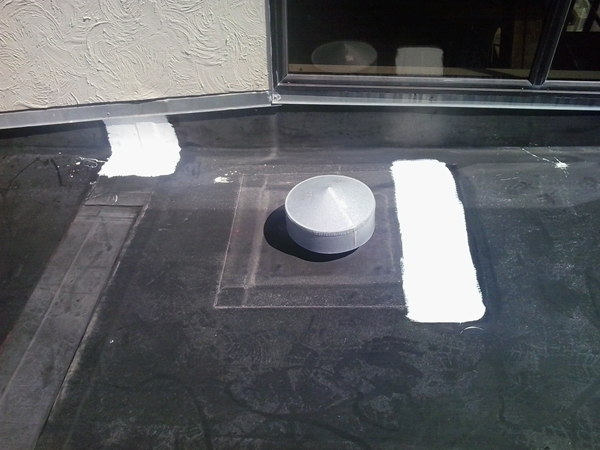 Due to the now hard baked paint applied 2 years ago, a simple overlay of the seam with 150mm wide EPDM Cover Tape was not possible. 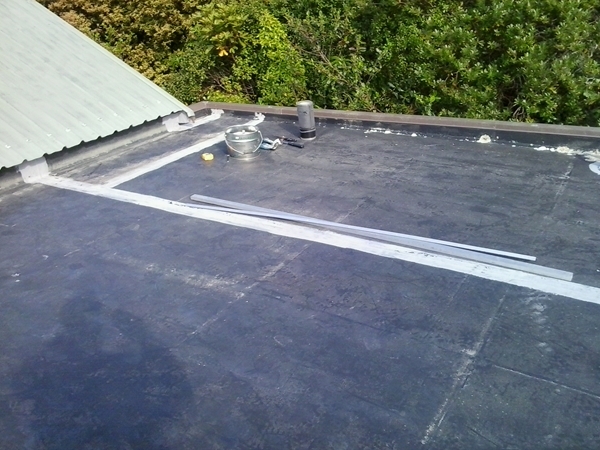 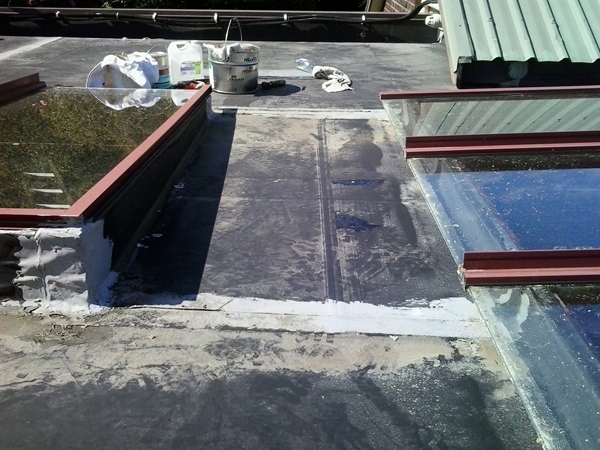 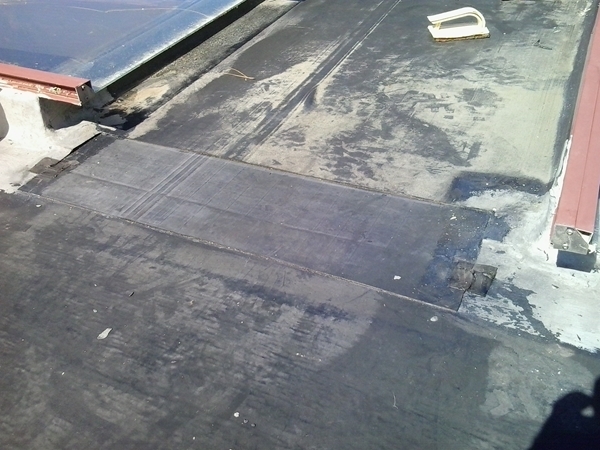 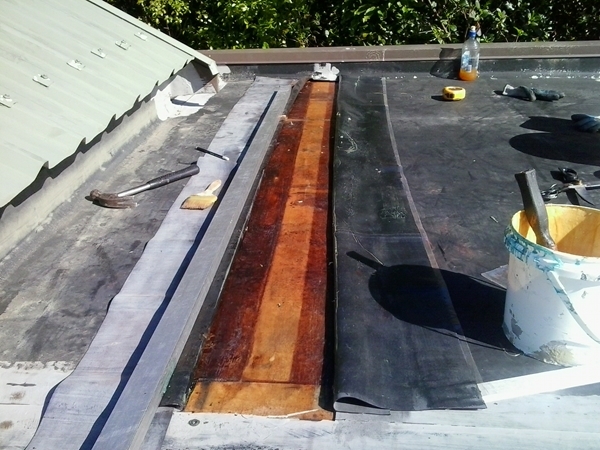 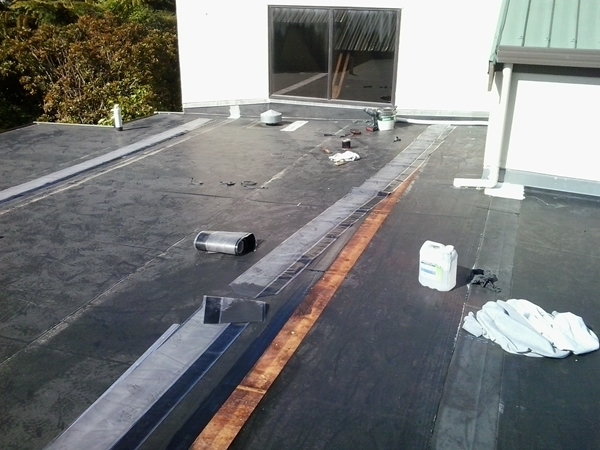 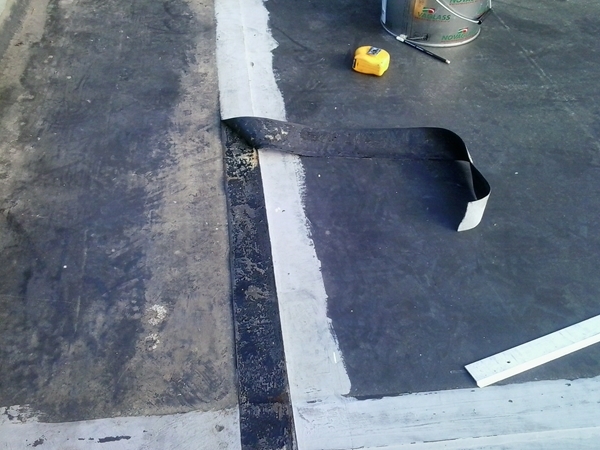 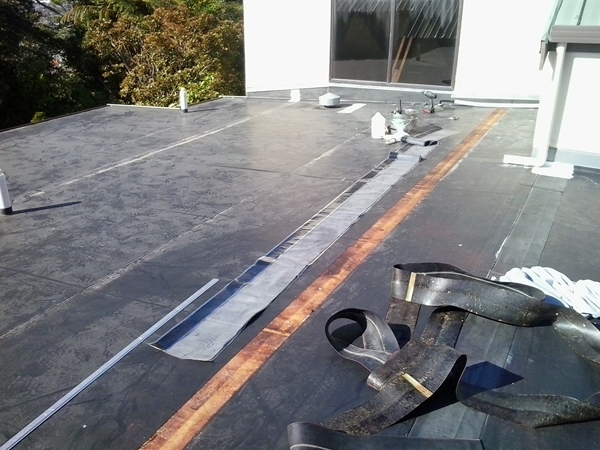 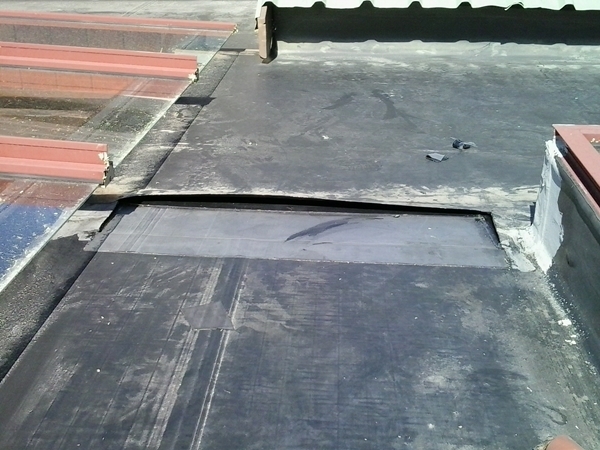 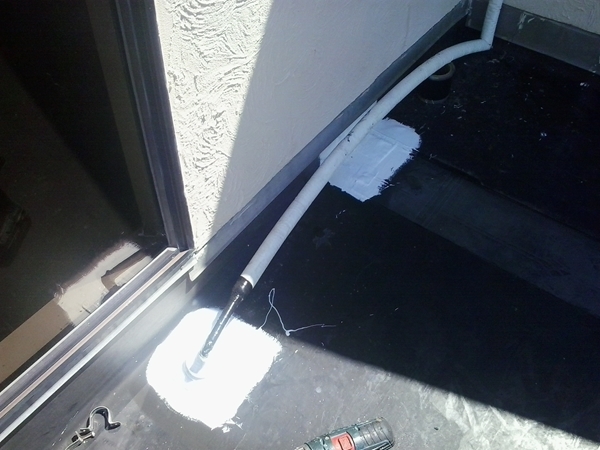 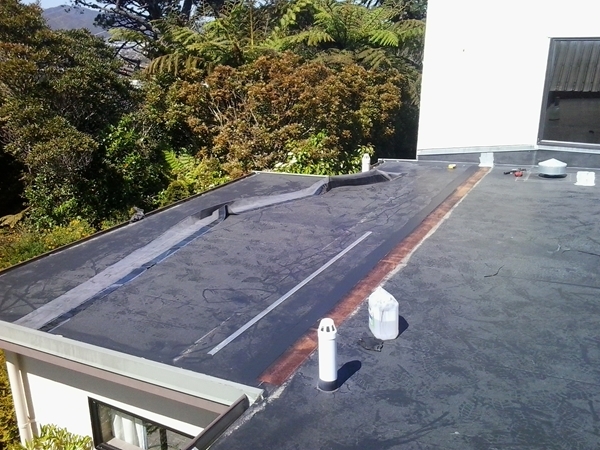 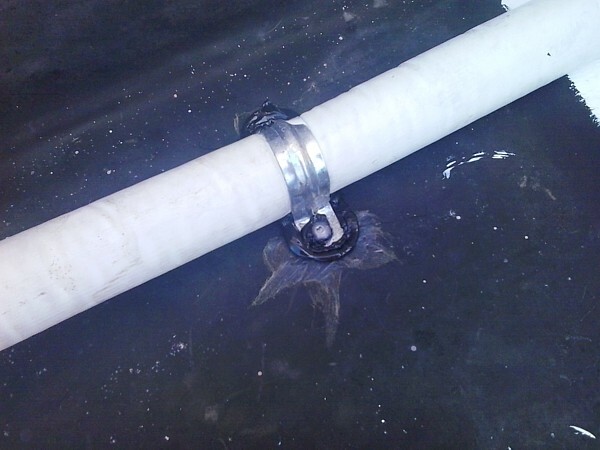 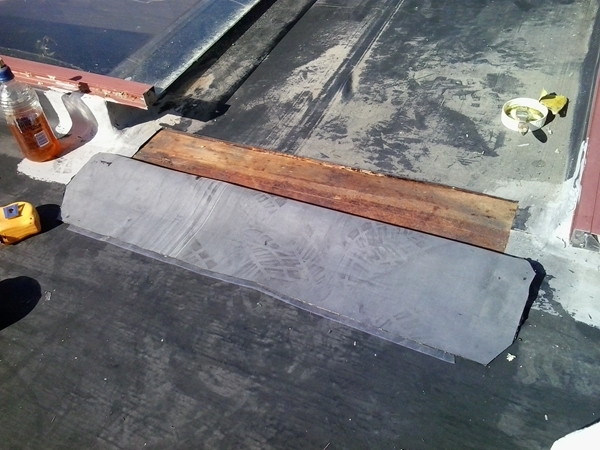 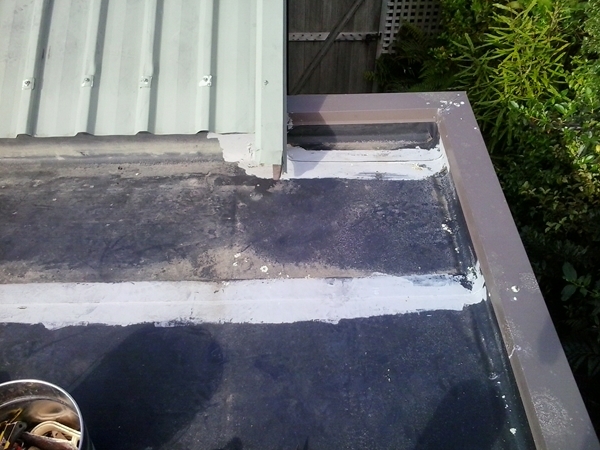 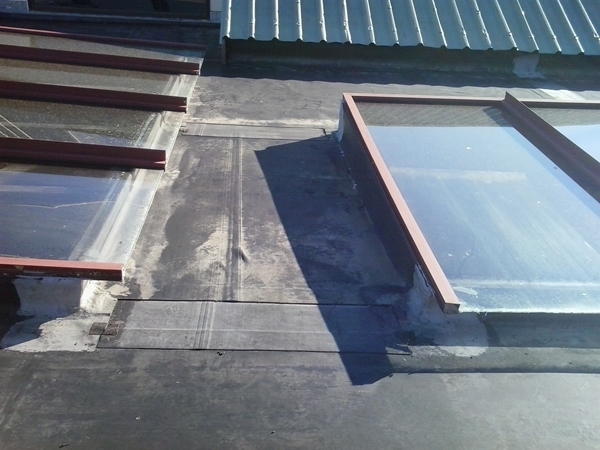 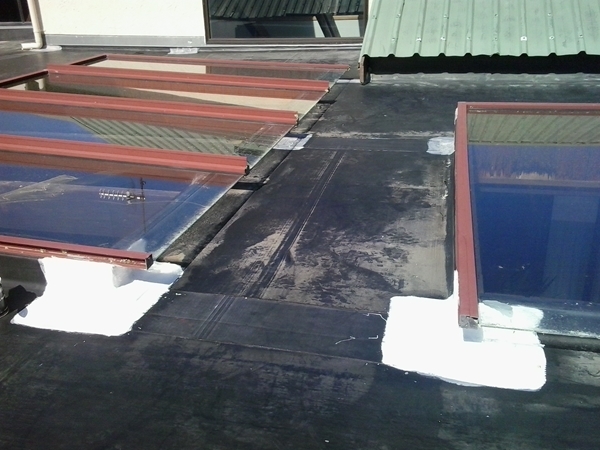 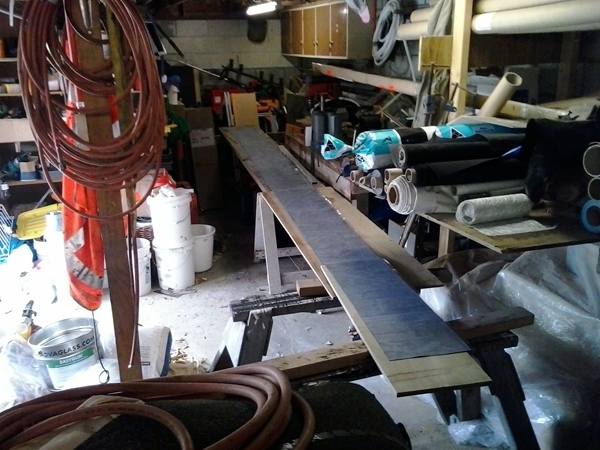 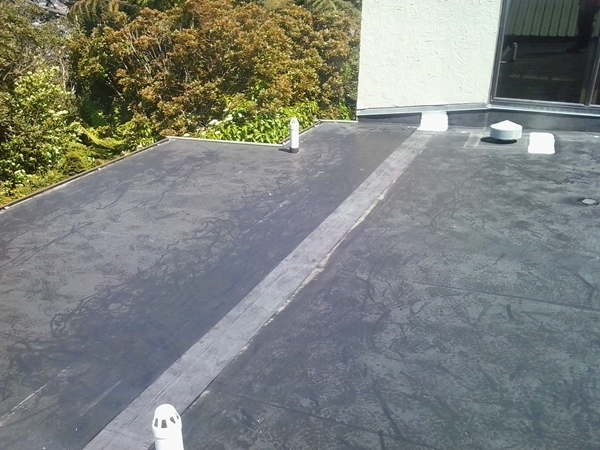 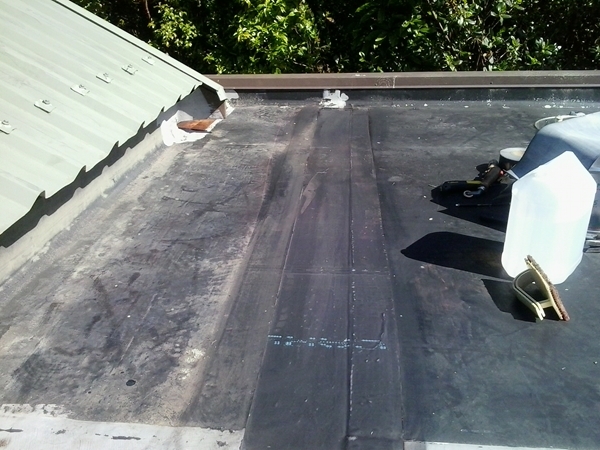 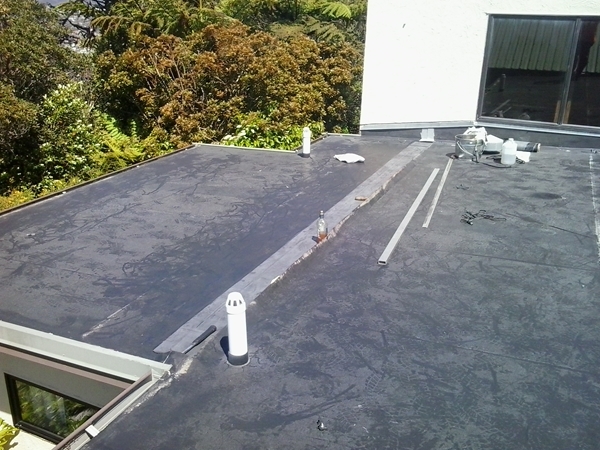 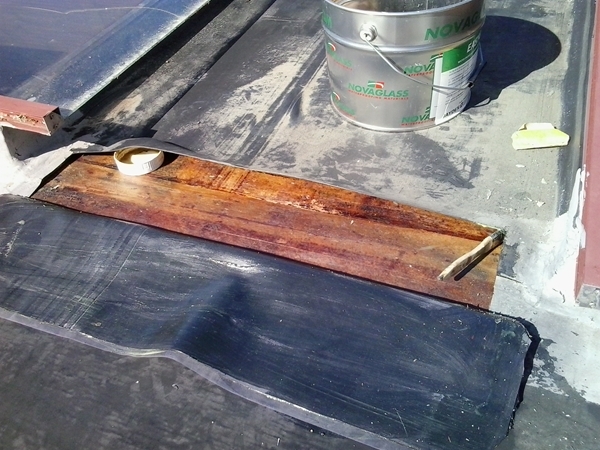 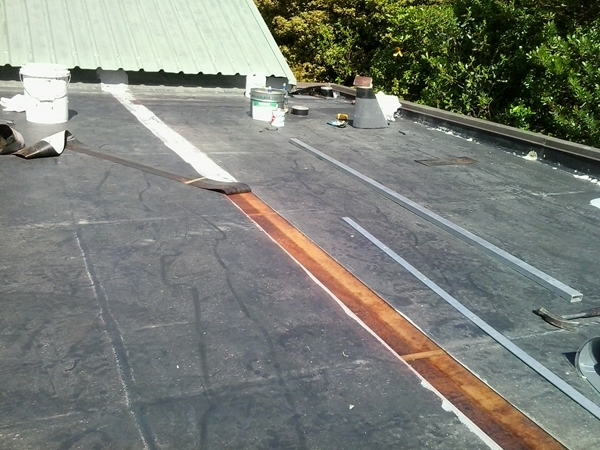 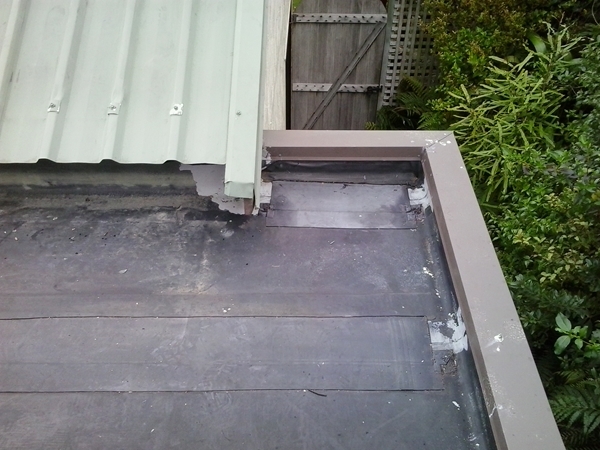 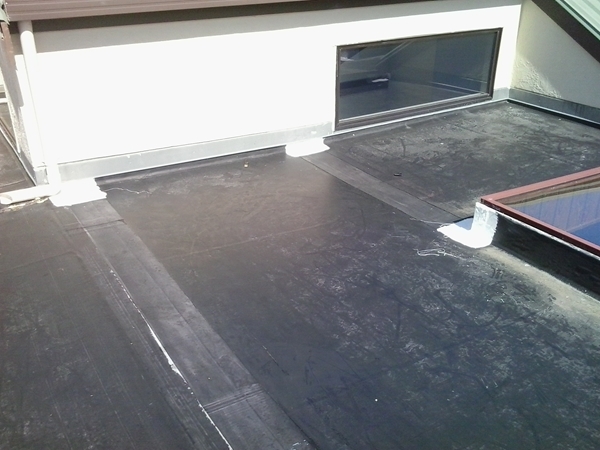 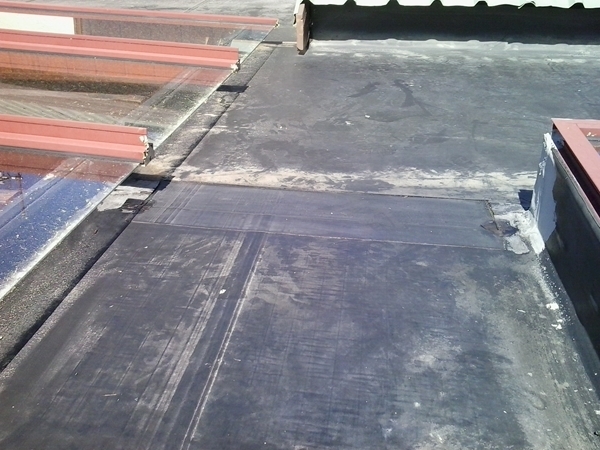 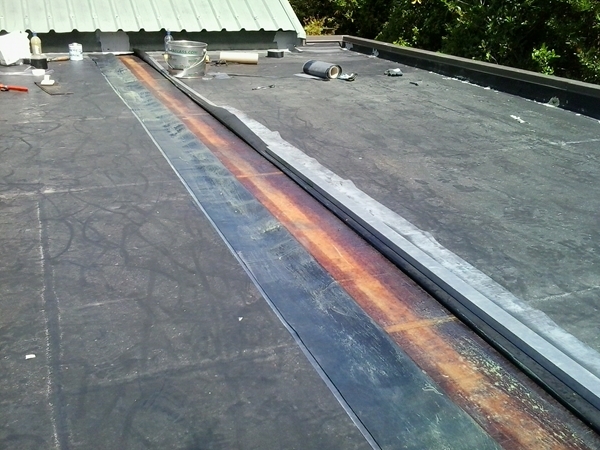 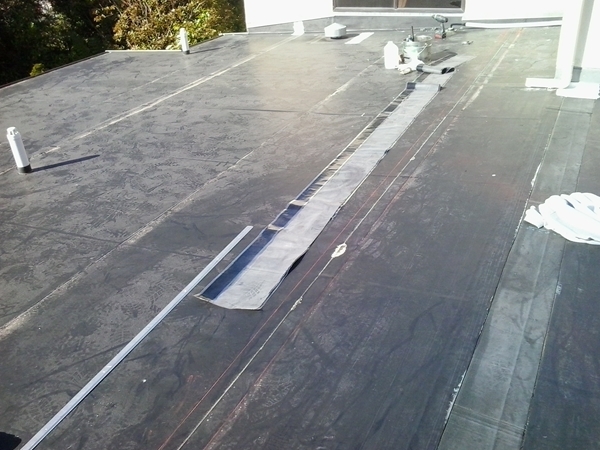 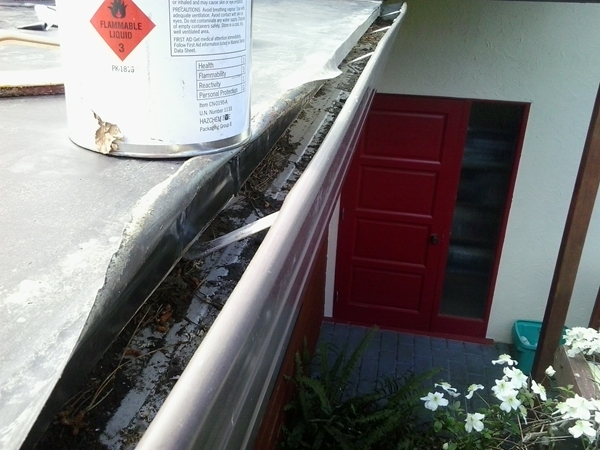 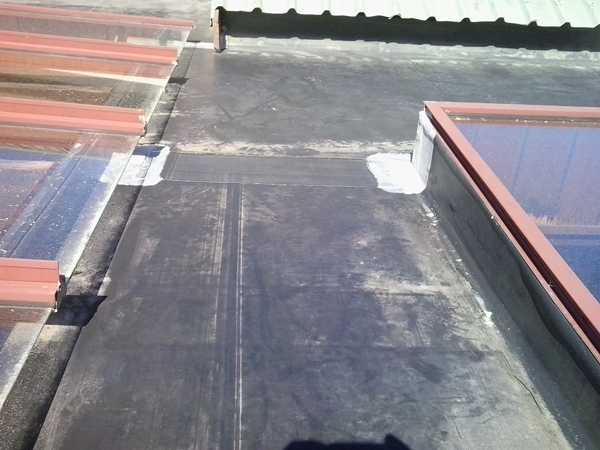 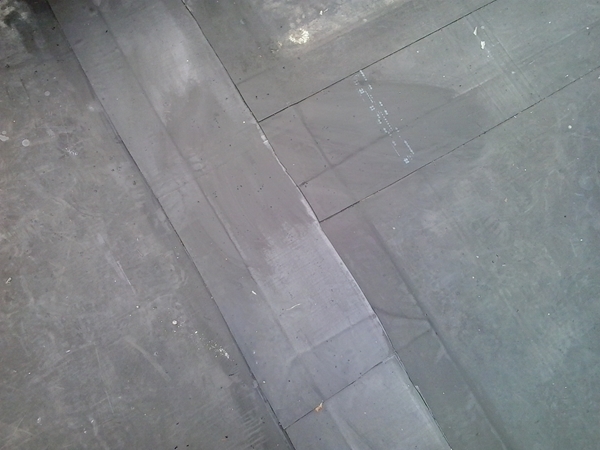 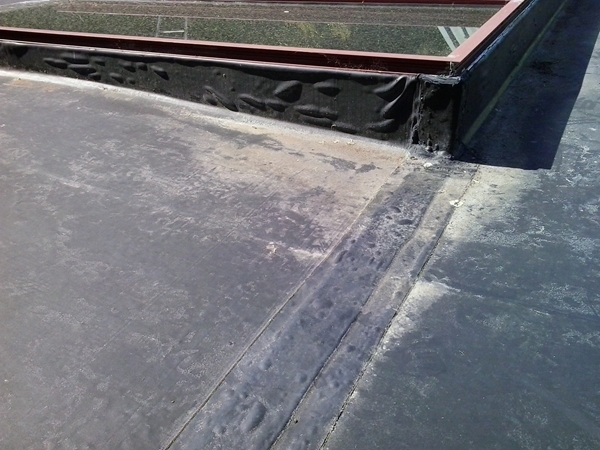 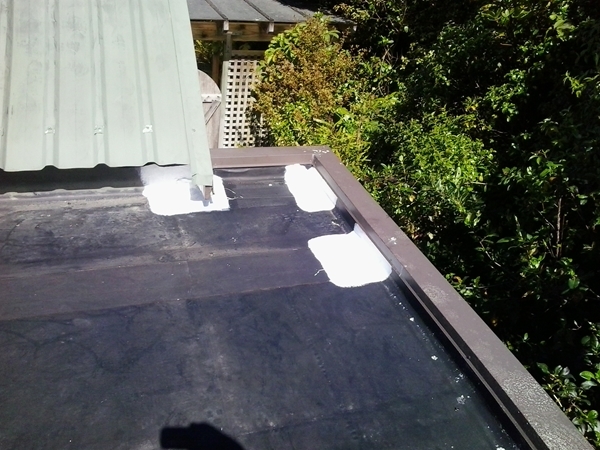 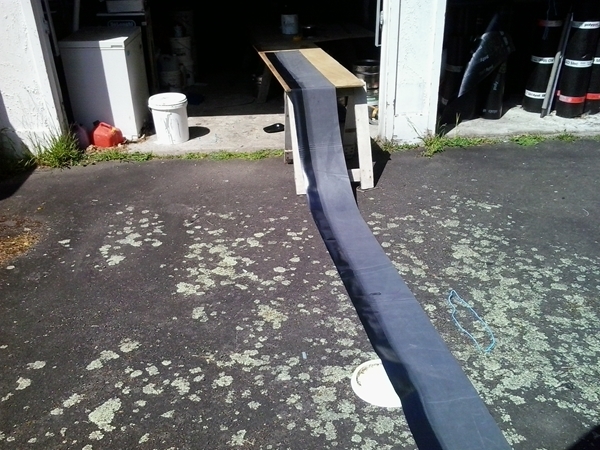 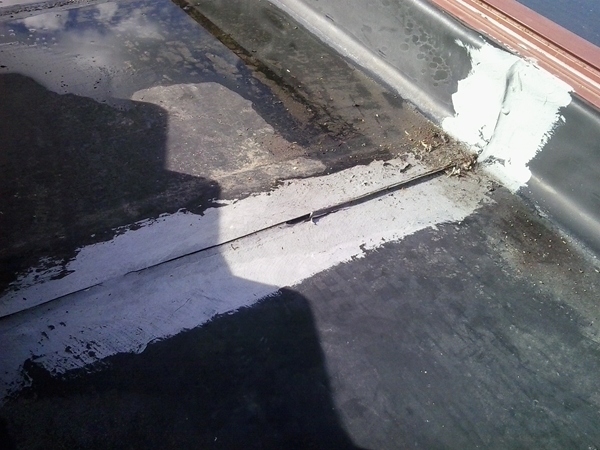 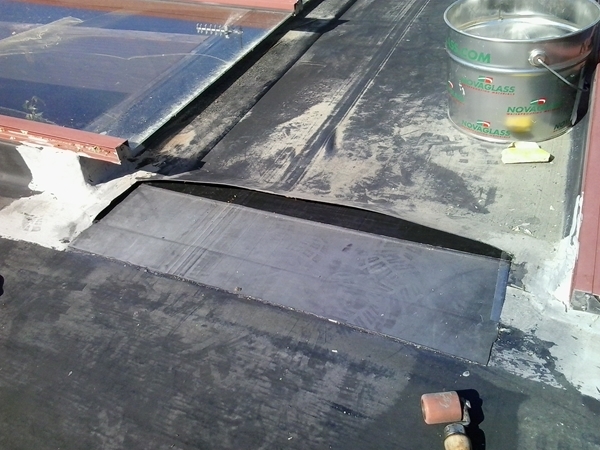 To repair the seams in the correct manner, the painted strip, and the failed seam/lap had to be cut out and a new strip of EPDM installed, underlapping and overlapping the main EPDM sheet, with the new laps facing down slope. 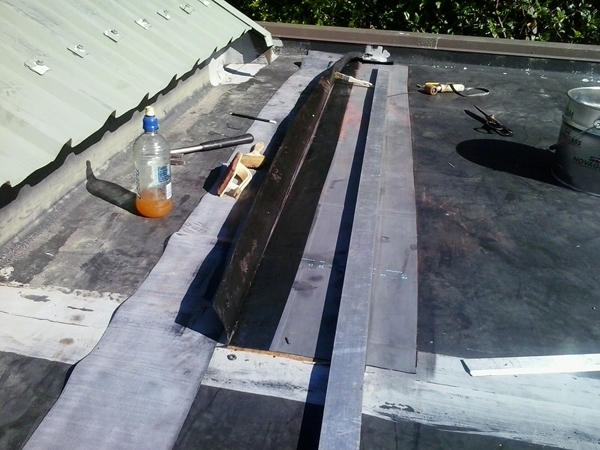 The images below show the process involved in replacing 54 lineal metres of seams.